“You only get one life to live, so why not take the chance? She joined into a co-op gallery on Big Pine Key with 16 other artists. – Co-op galleries are owned and operated by the artists. – Carmen did very well and began to build up a clientele. Carmen started her dream career by using her retirement savings to open a gallery in Key West, FL. Her co-op gallery connected her with 30 other artists in a very creative community. – She met other artists by going to art openings and through joining the Lower Keys Artist’s Network. – To sell, you need to know your clientele. In Key West, the clientele changed from day to night. * The local Chamber of Commerce is a great resource to find out about events and create connections. 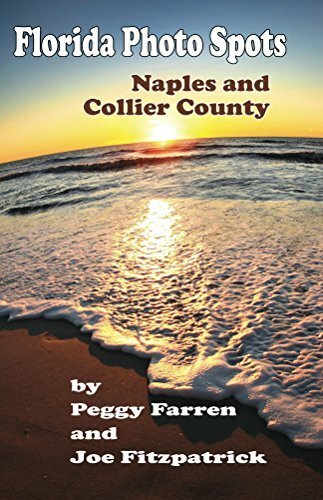 Carmen and her family moved to Cape Coral to escape the frequent hurricanes of Key West. She found the Cape Coral Art League and started getting involved – they didn’t have any photographers at that time. – The Gallery and Gift Shop at CCAL help to sell her work. – Travel themed images and larger pieces sell better at this gallery. – Advertising and promotion are done by the shop owner, no requirement to work at the gallery. – High tourist clientele – Florida-focused images that are smaller and packable sell better here.